A contemporary handmade sterling silver bracelet with two large hearts joined by a smaller heart, personalised with the initials of your choice. 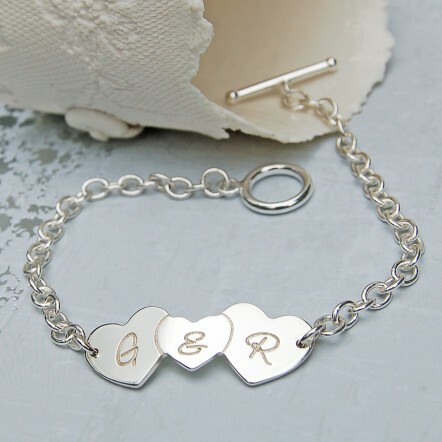 A unique silver bracelet with two love hearts, that can each be personalised with an initial of your choice, connected by a smaller heart which can also be personalised with an intial or an ampersand (&). 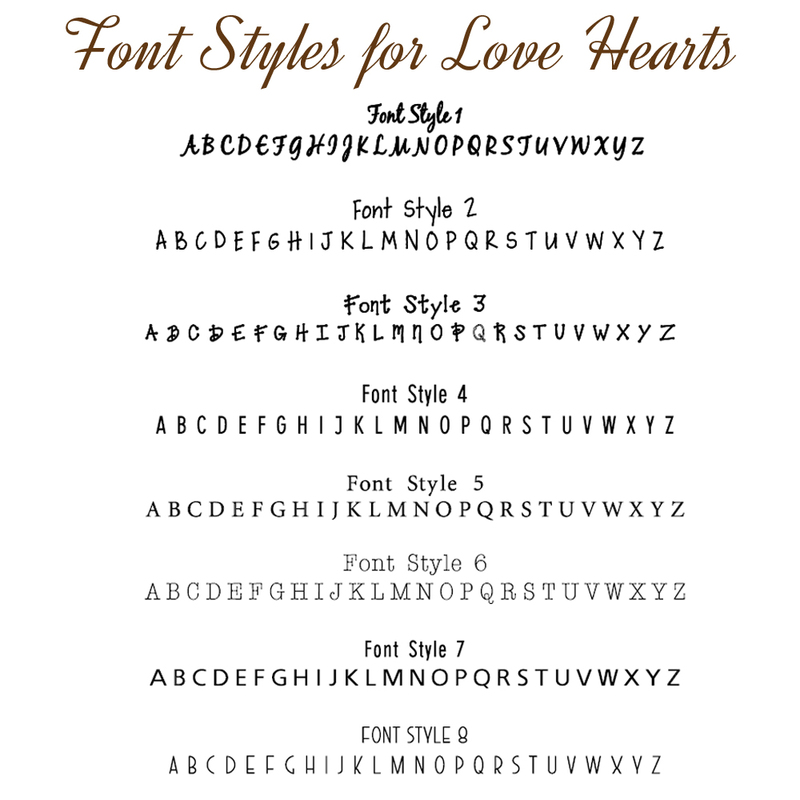 The hearts could be personalised with the initials of husband and wife, girlfriend and boyfriend, Mum and Dad, sisters, brothers, best friends or the initials of parents on the larger hearts with the initial of a child on the smaller heart. 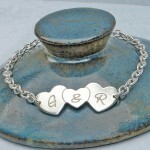 It would make a great gift for a loved one on Valentine's Day, Mother's Day or a special birthday. 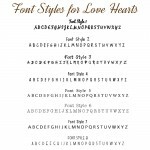 The silver hearts are cut from sterling silver sheet and the initials and outline of the centre heart beautifully etched deep into the silver and there is a choice of different font styles to suit all personalities. The bracelet chain is a lovely strong cable chain with links that are approximately 4.5mm and is available in different lengths to suit all individuals. The bracelet is finished off with a simple round toggle clasp. This bracelet will be handmade in the UK by us especially for you and beautifully wrapped in tissue paper and presented in an IndiviJewels gift bag. Here at IndiviJewels we design and make all our own work so if you would like something a little different then please just contact us and we will see what we can do for you. The hearts measure approximately 3.3cm across and are approximately 1.5cm high and the silver is 1.1mm thick. The chain links are approximately 4.5mm and the toggle clasp measures approximately 1.2cm in diameter with the bar being 2.2cm long.